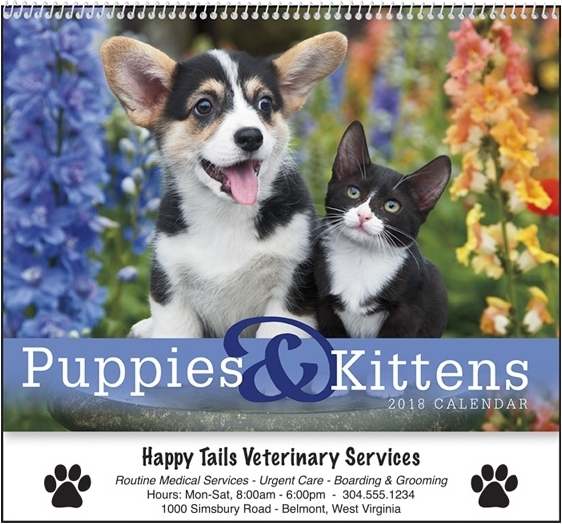 61-807 Puppies & Kittens Wall Calendar. 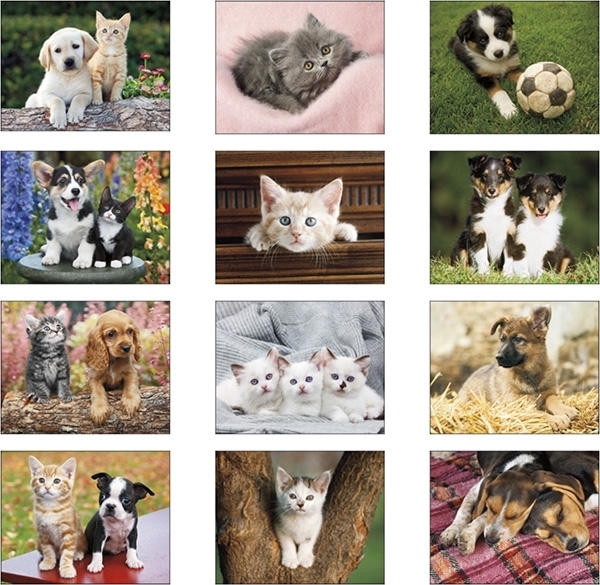 Who can resist these wonderful photos of puppies and kittens! 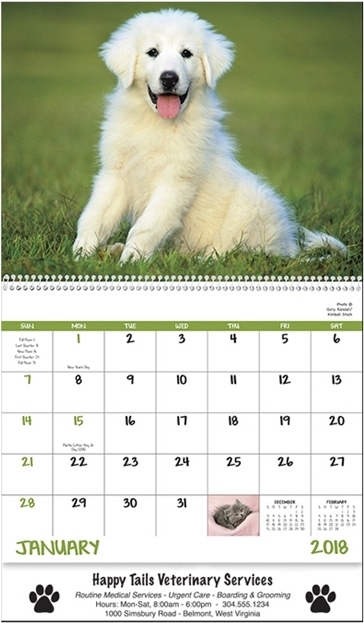 Envelopes are available for 18¢ each (packed bulk) or 30¢ each (packed with calendars already inserted). Envelopes can be Imprinted (black ink only) for 9¢ per envelope with a $26.50 set-up. Priced as low as 97¢.